When you think of the new Mercedes-Benz E-Class, "fast" might not be the first thing that comes to mind; the AMG E63 variation, on the other hand, is much more speed-friendly. For some, 577-plus horsepower out of the Merc's snarling Biturbo V-8 is child's play, so companies like Brabus have tasked themselves with tuning the executive-class sedans to maximize ridiculousness. 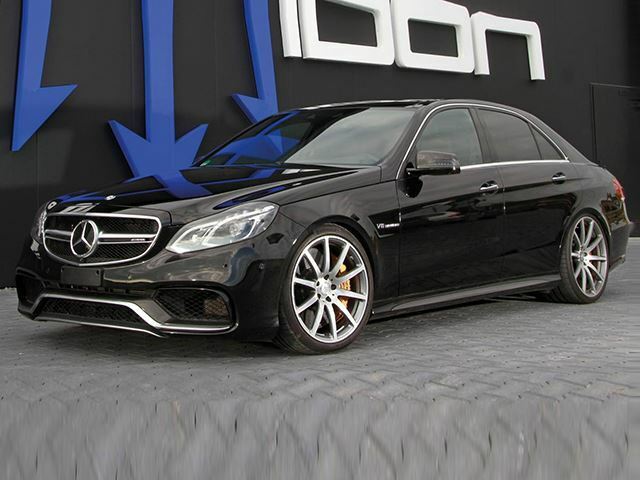 Up-and-coming Mercedes and Maybach tuning company Posaidon wants to dethrone tuning companies like Brabus and is using its own custom Mercedes-AMG E63 to do it. The company hopes that this bonkers E-Class will make it a household name in the tuning community. 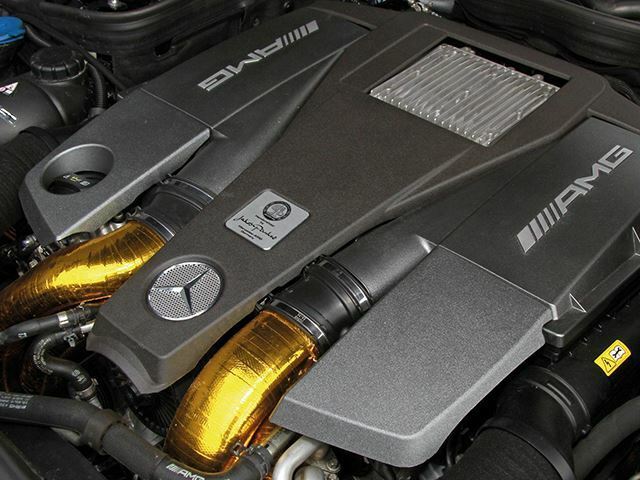 According to Carbuzz, Posaidon has modified a new Mercedes-AMG E63 S to produce 1090 horsepower and 996 pound-feet of torque—a 505-horsepower increase from the stock E63 S. Posaidon achieved this through a smart combination of performance engine parts and an ECU tune to the Merc's Biturbo V-8. The car features a stainless steel performance exhaust, a bigger intercooler, larger OEM wheels, lowered suspension, and an upgraded transmission to handle the weight of nearly 1100 horses. Posaidon also transformed the meager 5.5-liter engine into a 6.5-liter monster to handle the arsenal of bolt-ons it was given. Posaidon doesn't have much information about the car yet but it seems confident in the car's real-world performance, the speedometer does go up to 380 KPH after all. This E-Class on steroids definitely has some potential as the ultimate luxury sleeper. If the sound from the E63's glorious Biturbo engine mixed with the new exhaust system doesn't give it away, the owner could hypothetically cruise around town in serene luxury and stomp on surprised super car owners at stop lights whenever he or she feels like. Is This Golden 900-HP Brabus-Tuned Mercedes S-Class Great, or Garbage? We genuinely can't make up our minds as to whether we like this or not.